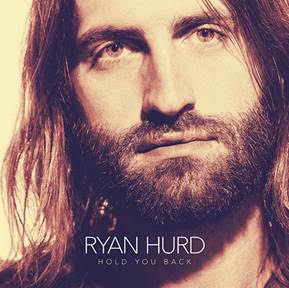 Singer/songwriter Ryan Hurd releases his FOURTH music video for the sincere “Hold You Back,” available everywhere today. The Ryan Hurd/Will Weatherly/Nicole Galyon co-written and Jeff Ray directed video was given its world premiere yesterday by CMT. Watch “Hold You Back” - http://vevo.ly/0KWSZa. With the “Hold You Back” music video release, Hurd, who is touted as an artist to watch by The Huffington Post, VEVO, Rolling Stone Country and CMT, boasts FOUR music videos in FOUR months to his credit. Four months ago Hurd released his first song “We Do Us,” followed by a music video for the same song two weeks later. That began a self-release schedule that ran like clockwork. The next to come was “Love In A Bar,” in October, “City Girl” in November and now “Hold You Back” which hit the inter-webs in December. Right on schedule the music video is now available. Each song of the four collection has racked up between 3 to 7 million streams a piece. Hurd hits the road in early February with Maren Morris on The HERO Tour 2017 with sold-out dates in New York City, Boston, Philadelphia and Athens, Ga. Later the same month, Hurd joins the star-studded lineup on Thomas Rhett’s 2017 Home Team Tour alongside Kelsea Ballerini and Russell Dickerson for a 15-show run ending with two sold-out nights at Nashville’s Ascend Amphitheatre on April 20 & 21. For more on Ryan Hurd, visit RyanHurd.com.